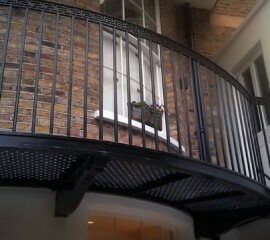 Bespoke Steel Fabrications, based in Derby, are one of the UK’s leading specialists in Steel Fabrication for both the private and commercial sector. Established in 1981, Bespoke Steel Fabrications are a family run, personable business with a professional and dedicated customer focused approach. Our friendly team are capable of delivering a first class, project to completion service for the design, development, manufacture and installation of your Bespoke Steel Solutions. 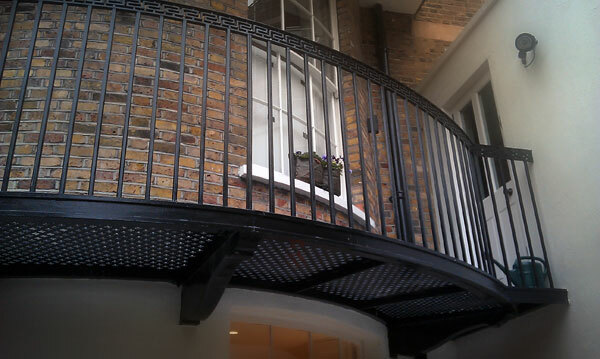 Bespoke Steel Fabrications were called upon to replicate a lower level bespoke balcony fabrication on a Grade II listed building in one of London's more demanding property develoment hotspots, The Royal Borough of Kensington & Chelsea.